Gothic - what is it? for many people the Gothic is associated with the Goths, crosses and black locks. 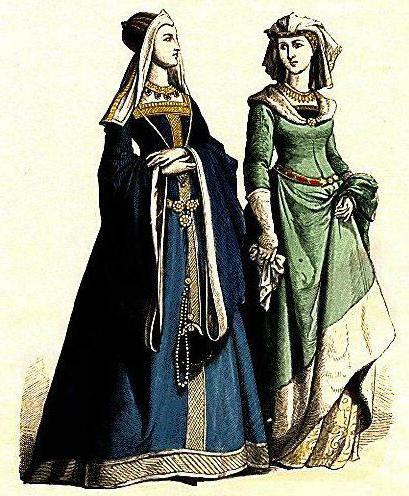 But if everything was so dull in the XII century, when this style entered the fashion? Of course not. Gothic – primarily the lightness and elevation. During this period, people began to reach for enlightenment and following this, to something beautiful. Today we will more in detail talk about the Gothic: where and in consequence of which it appeared, the main representatives. In General, see, will be interesting. the Word “Gothic” – the name of the style which prevailed in the middle Ages. The French called the Gothic Lancet style. This art has its origins in the XII century (until XV century) it was at this time in Europe begins active struggle of the Catholic Church for power. So all the art that was created during this period was directed to the exaltation of the Church and faith. I Built the new cathedrals, which were in themselves great, and are complemented by sculpture and painting looked just divine. At this time, all artists have used allegory. Now in paintings, sculptures and even decorative items began to lay the hidden meaning. If you describe the Gothic briefly – it is a style that runs counter to everything that came before it. So it formed a kind of art that denies the classics and is a natural development and modification of the Romanesque style. Gothic – it is primarily upland and dynamics. The architecture seeks up and develops from the bottom up. All buildings constructed in the Gothic style, had a greater height. This effect was achieved not only through walls, but due to the long, sharp-pointed roofs. Stained glass Windows became ubiquitous. They decorate the window doors and even ceilings. Arches became popular among the architects of the XII century, the entrance and interior space are processed in this architecture. the Sculpture from the Gothic period is widespread. Sculptors were now decorated not only interiors and exteriors but also did the artwork for the walls of the building. Mainly Gothic manifested itself in architecture. After heavy buildings built in the Romanesque style (with small Windows and a minimum of decorative elements), I wanted something light and sublime. Early. In buildings of this period still shows the influence of the Romanesque style. But it has already clearly observed a reduction of weight and vertical decor. It is in the groin, and can be traced to the departure of the architects of the cylindrical vaults. 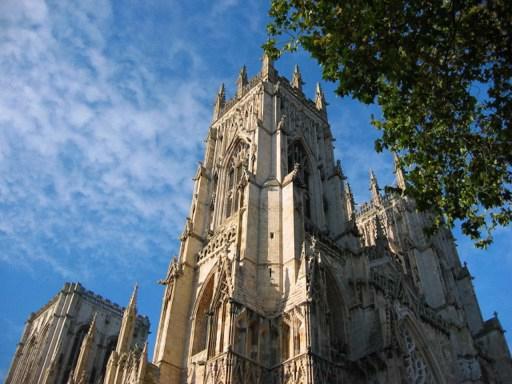 An elaborate system of pillars and buttresses allowed to make buildings lighter, delicate. The most striking building of this period is the Notre Dame Cathedral. Mature. In churches of this period is closely linked to framework structures. Instead of glass in the middle of the XIII century are beginning to use stained glass. The Windows themselves, by the way, become elongated and acquire the form of a pointed arch. Almost all buildings of this period are complemented by sculptures and sculptural compositions. 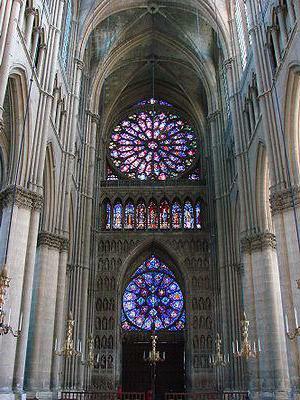 The most striking objects Mature Gothic - cathedrals in Chartres and Reims. Late. During this period, the sculpture gradually becomes not biblical in nature, and household. Even though marble and stone sculptures decorated the walls of the Church, the topic of creativity were scenes from the lives of ordinary people. The most striking late Gothic structure - it's cathedrals: the Cathedral at Moulins and Milan. Middle ages Gothic – loftiness and lightness. This effect and tried to achieve the craftsmen who made the furniture. In the first place in everyday life of medieval man were such items of furniture, as tables, chairs, chests. Most common and popular material was oak. Despite the heaviness of the material, under the skillful hands of a master out of carved chairs with high back, tables on elegant legs and bed with ornamental poles for the canopy. 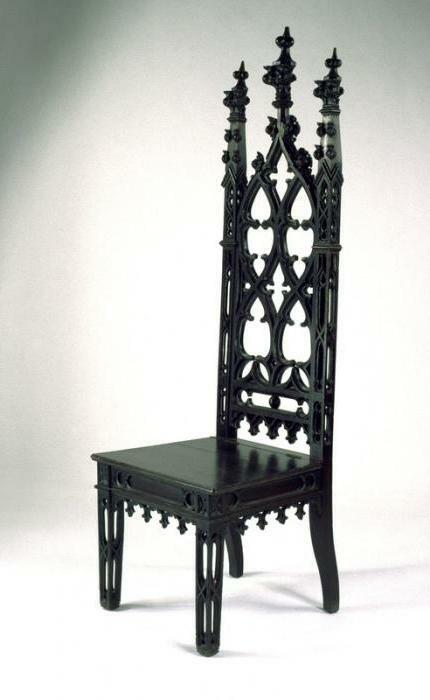 Despite the fact that the Gothic-is first and foremost the dynamics, medieval people often for the decoration of rooms used static wrought iron lattice. They decorated the fireplaces, at least the window. Gothic – the art of the late middle Ages. People chose to use decor items from the past, but in new interpretation. Much love used wrought iron candleholders cups for wine and vases. People do not strive for simplicity, they used Church attributes even in their own homes. So, on the tables in the living room you could see the crosses and various statuettes on the theme of biblical scenes. Often the room decorated with bas-reliefs and statues. They could wear not only biblical, but also a mythological character. the Gothic Style – it's not only architecture and sculpture and painting. In XIII-XIV centuries it was the birth of realism. Of course, in the Gothic era it has not fully formed, but still the most significant works of the period, such as A. Lorenzetti “Allegory of good governance" of the brothers van Eyck “the Ghent altarpiece" were performed in the nascent style of naturalism. all the main characters quite believable, although the feelings they depict sometimes too simulated. In General, during the Gothic was fashionable to portray the icons of the highlights of the manifestation of the passions. For example, the mother very often in the paintings of artists is unconscious, and on the faces of the women surrounding her, written in obvious sorrow and compassion. 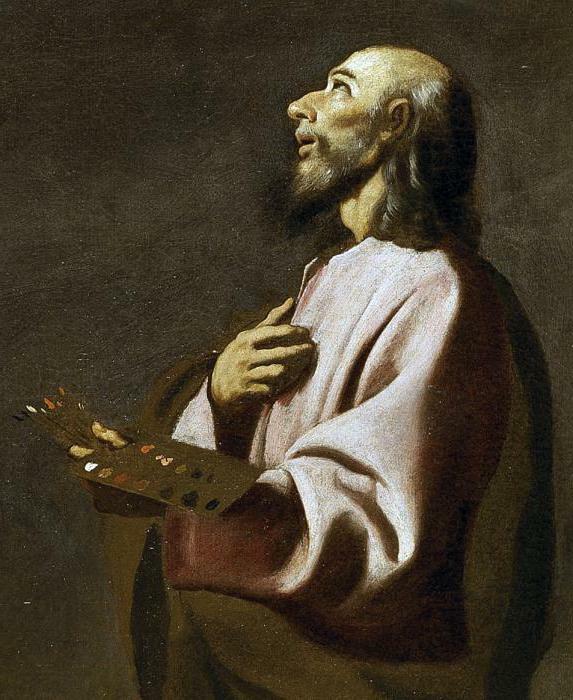 Almost every painting bore a religious character. The artists have studied every detail of his paintings. Not ill-conceived moments, and no detail escaped the attention of the Creator. After all, to enter in his paintings of the allegory was considered good taste. Therefore, you can find a lot of artists Gothic, where on the altar of detail drawn images. 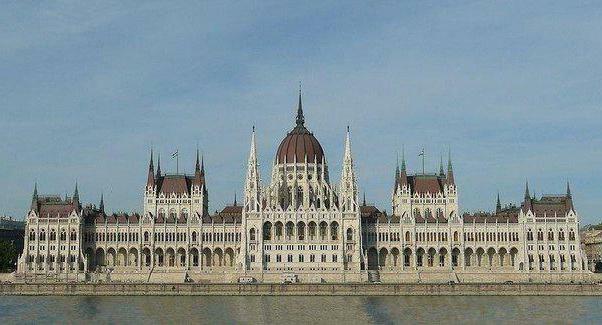 In Gothic architecture not only had elongated. Clothing is also a tendency for acuity. In XIII-XIV centuries are becoming popular shoes with long, sharp noses, pointy hats and horned hats. Lengthened and the hems of women's skirts. 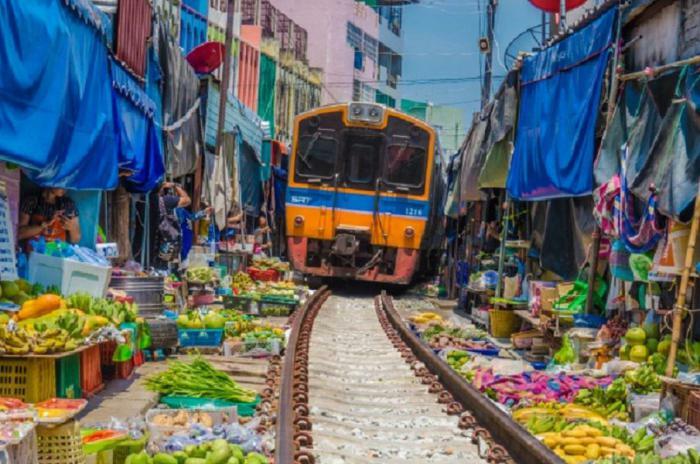 Appear trains and long veils. Corsets are out of fashion does not go out, but now the girls tighten the dress above. Dominated by clothing with a high waist and long slim skirt. Sewn is mainly made of velvet, but silk never goes out of fashion. As decoration used sewing. Dominated by a floral ornament. Men's fashion is also characterized by elongated forms. But such clothing was rather the older generation. The youth also sported a cropped pants and jackets. Men's suits, as well as women, are decorated with gold embroidery with intricate patterns. The fashion includes long powdered wigs.